With busy schedules a headache can become just a normal inconvenience to your day. What many patients do not realise is that headaches could be a common sign of an underlying medical issue which needs to be seriously addressed. One cause of these issues could stem from your teeth, jaw alignment or bite and is known as the temporomandibular joint dysfunction (TMJ). This is a crucial joint that connects your jaw to your skull and affects your jaw movement. Although rarely spoken about, your TMJ plays an important role in ensuring that you are able to do the things we sometimes take for granted like talking, chewing and even laughing. 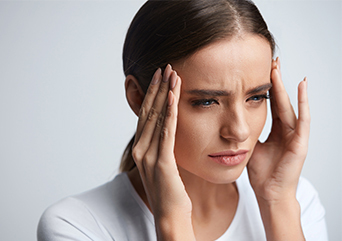 Because headaches are caused by a number of health-related problems, TMJ headaches are often misdiagnosed and treated as a normal or tension headache. In fact TMJ headaches often mimic tension type, sinus type and migraine headaches. The downside to this is that patients are prescribed medication that aims to reduce the pain of a headache rather than treat real source of it. Here at the TMJ Centre Melbourne, we believe in helping our patients live their best lives through proper diagnoses and effective treatment options. 1. Do you have tight jaw muscles or a ‘locked jaw’? Teeth grinding, clenching your jaw (a common symptom of stress) or a misaligned bite, can put extra strain on your jaw. Through your TMJ muscle, this pressure spreads from your jaw to your temples resulting in headaches. 2. 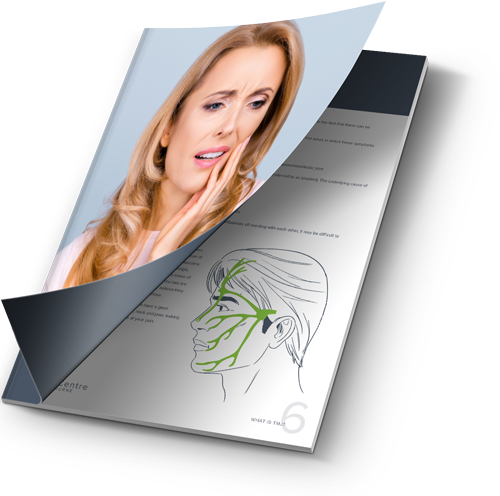 Do you experience facial pain? Sometimes you may experience pain on your forehead and other times you may experience a similar tension on other parts of your face like your cheeks, your jaw and even your neck. This is a common symptom of TMJ disorder. 3. Does your bite seem off? Remember that the TMJ is the point between your jaw and skull so its condition is largely dependent on your bite – the way your top and bottom teeth fit together. If you have a misaligned bite, the odds of your TMJ joints causing pain are fairly high. 4. Can you hear a ‘click’ when you open your mouth? You may have noticed this when you open your mouth to eat or yawn. Take a second to slowly open and close your mouth while you are reading this. If you hear a soft clicking sound then it could mean you have a TMJ disorder. Aside from being slightly annoying to the person sleeping next to you, snoring could point to a number of underlying respiratory concerns. It could also be a cause of morning tension type headaches. Snoring is often associated with sleep apnoea and research has shown that people with sleep apnoea have a much higher chance of having TMJ dysfunction. Have you answered yes to one or more of these questions? If so, we would advise that you book an appointment at TMJ Centre Melbourne to get the advice and diagnosis you need.